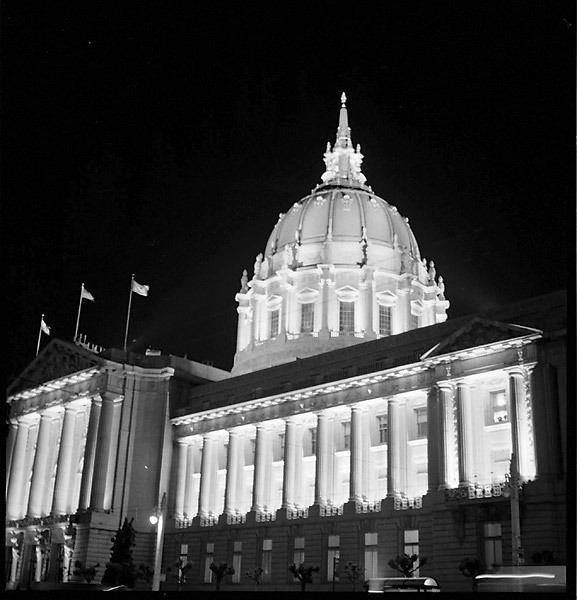 SF City Hall at Night: A night shot of the San Francisco monument by Civic Center. Snapped on: April 23, 2005. Hasselblad 500C/M, Planar 80 C T* ISO400, Kodak Tri-X Pro 320 film, roll shot at mixed ISOs, developed with Diafine @ 3+3 to prevent blown highlights.